Tiny little Tybee Island on Georgia’s Atlantic seaboard is the first American beach destination offered by luxury travel company Natural Retreats (naturalretreats.com). Stay in one of 35 homes near the seaside, home to endangered sea turtles and blue herons. The small town has gourmet restaurants and high-end shops and is a 20-minute drive from Savannah airport. Beach cottages for four cost from $76 a night, with a three-night minimum stay. A new summer bus route links Norway’s top three hikes in the fjord region, meaning that serious walkers can tick off the trio in about three days. 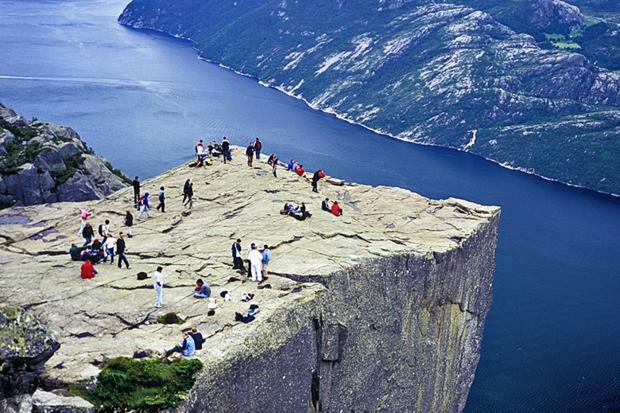 Pulpit Rock offers stunning views of Lysefjord, a boulder lodged spectacularly between rock faces at Kjerag mountain. The bus route connects these two iconic hikes to the Troll’s Tongue in Odda, a few hours north, which takes about ten hours to reach on foot to. More information on the Troll’s Tongue to Pulpit Rock Express, which runs July 1-August 31 and costs about £49, is on tidereiser.com. Want a truly green holiday? The Emerald, a collection of five luxury holiday homes with heated indoor pool and gym near Falmouth, Cornwall, has been awarded the highest grading in the code for sustainable homes. The cedar-clad houses have under-floor heating, wi-fi and hot tubs, but they generate their own electricity and produce their own water. Three nights costs from £170pp (01326 555555, classic.co.uk). There’s a rush of interest in Burma (Myanmar) so it’s no surprise that two new travel guides to the country have just come out. Our pick is The Rough Guide To Myanmar (£16.99), with everything from boating across beautiful Inle Lake to trekking through remote highland villages. More specific is Saffron Guides’ look at the country’s restaurants, bars and clubs (£9.95); we say that if you want to go drinking and clubbing this possibly isn’t the country for you.